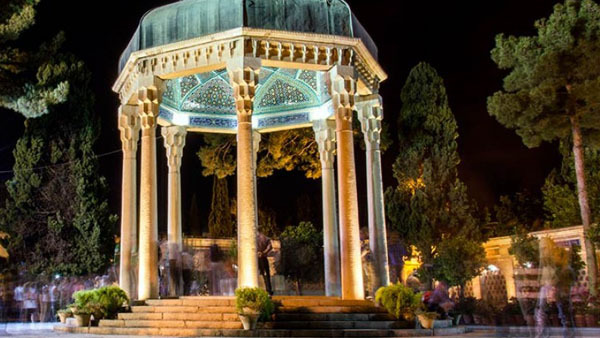 Kurdistan Province is one of the most beautiful cities in Iran, it has a pleasant climate and its pristine natural and historic attractions, attract many tourists each year. 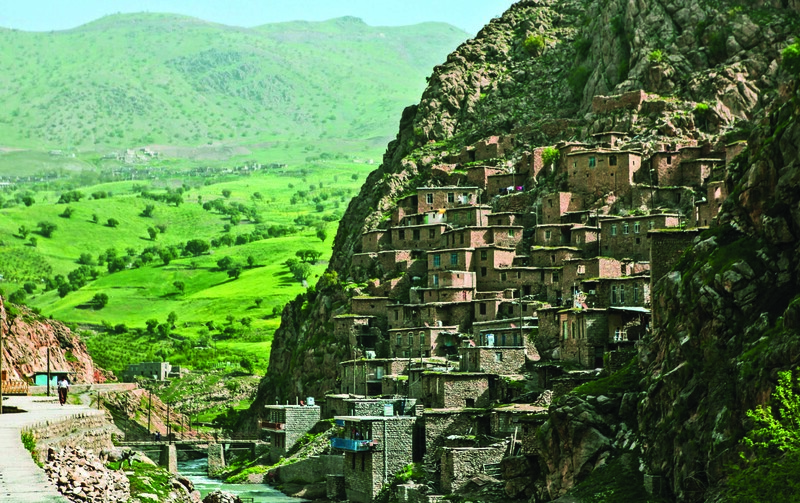 The unrivaled nature of Kurdistan includes oak forests, waterfalls, and streams, alongside ancient history and culture as well as historical and architectural attractions including ancient castles, historic mosques, and baths and so on. 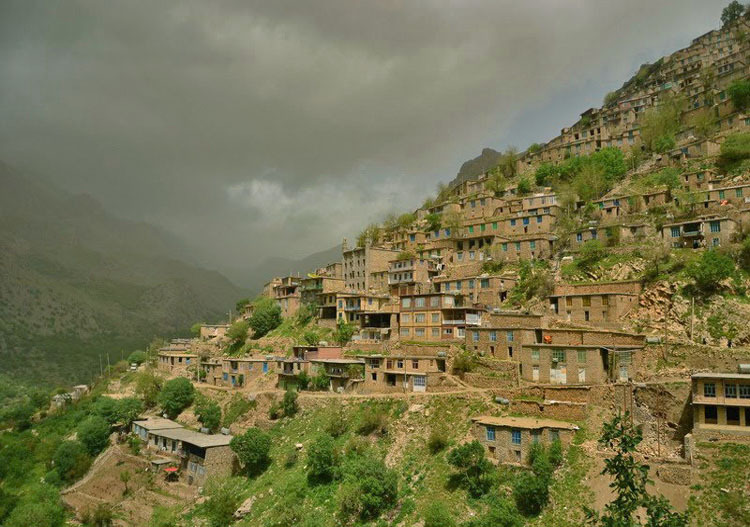 It is also home to one of the most original Iranian tribes. 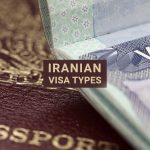 Kurdistan Province is on the west side of Iran and it is located within the neighboring provinces of West Azerbaijan, Zanjan, Hamedan, and Kermanshah. 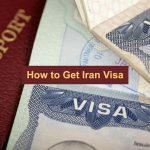 From the west, it has borders with the neighboring country of Iraq and the Kurdish province of Sulaimaniyah. 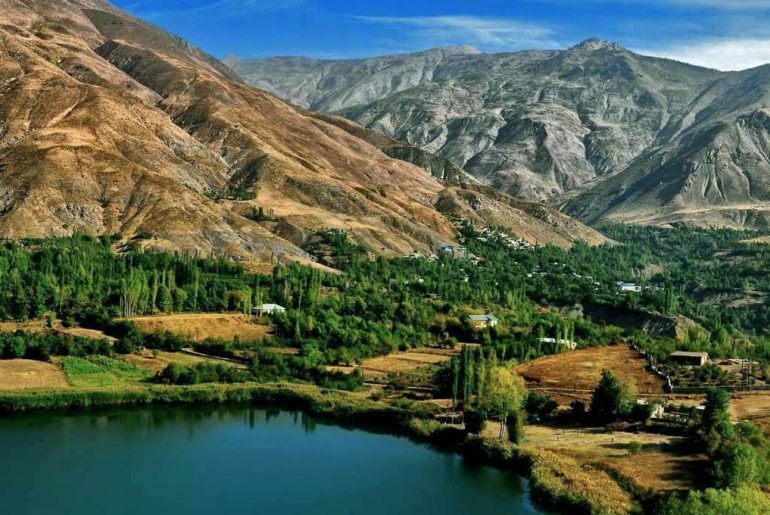 Kurdistan Province is also a mountainous region with high plains and broad valleys, and the people of this province are mostly Kurds which speak Kurdish and a host of different dialects. 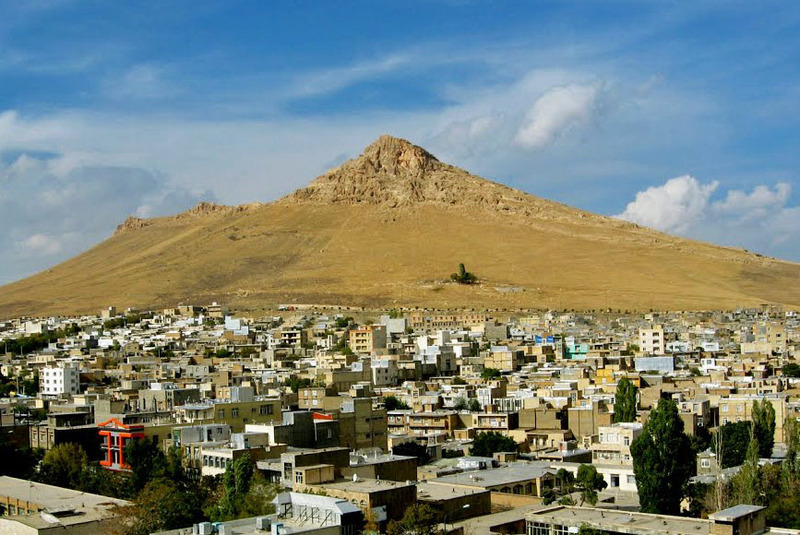 Sanandaj is the second largest Kurdish city in Iran, founded in 1046 AH by Solomon Khan Ardalan for military purposes. 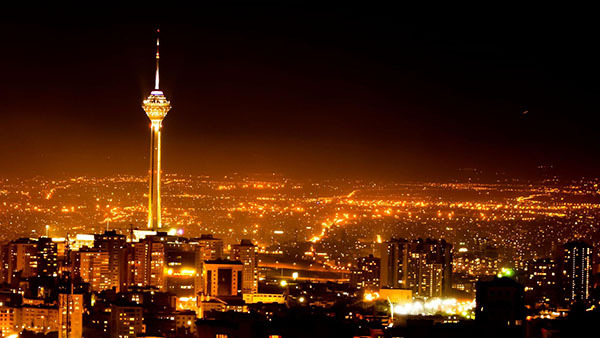 It is also the capital of Kurdistan Province. 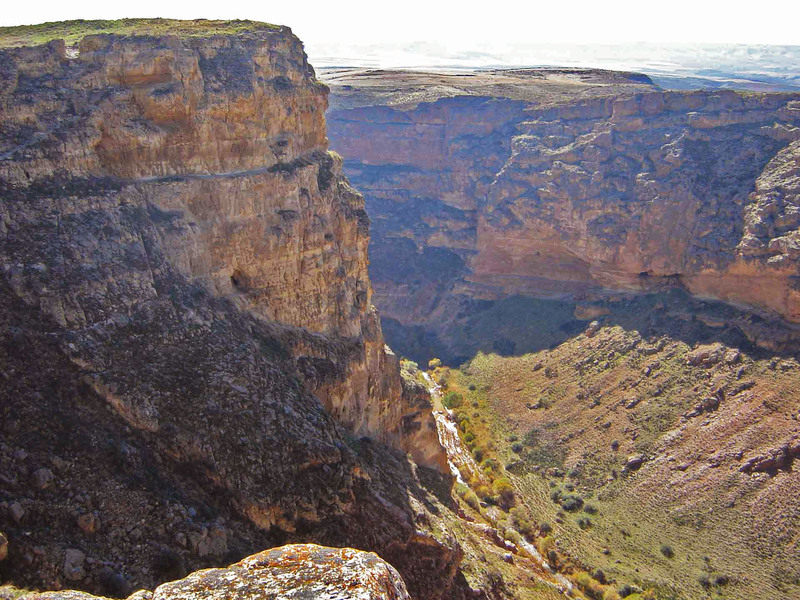 It has a cold and semi-arid climate and it is located in a mountainous region (Zagros). from the west, it leads to Mount Abidar, and from the north to the famous Sheikh Mountain, and also from the south to Mount Serajuddin. most valuable cultural and historical works of Kurdistan. The house of Kurd has beautiful bricks and crafts related to the Safavid period, which has been completed in the Qajar and Pahlavi periods. 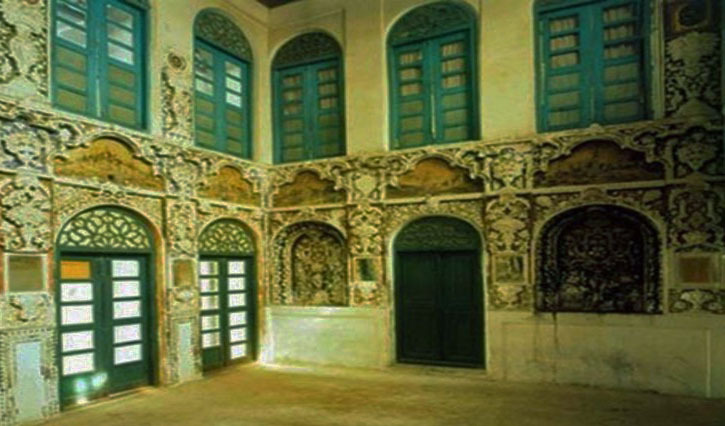 The largest Ethnographic Museum of Ethnology in Iran is located in the Asif Mansion. Also, it is worth knowing that its bathrooms are the most beautiful private bathrooms in Sanandaj. The beautiful Dar-Al Ehsan mosque is located at the highest point of Sanandaj city and its flower beds are seen everywhere in the city. 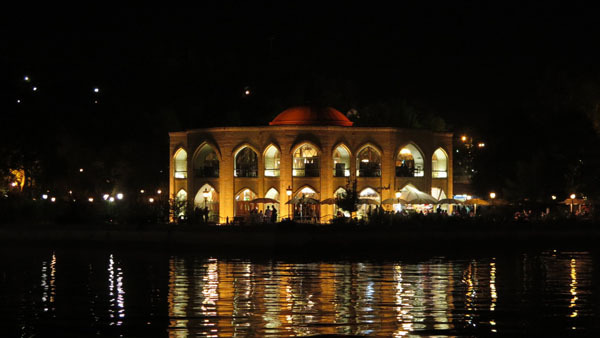 This building was built in the year 1227 AH during the rule of Fath Ali Shah by a person named Amanullah Khan Ardalan and is architecturally the most valuable mosque in Kurdistan. 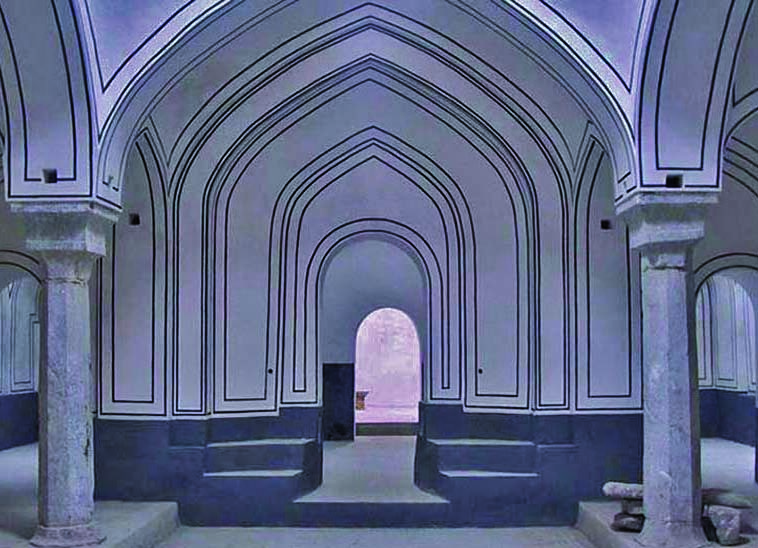 The mosque has two verandahs with a central courtyard, built around 12 chambers for religious scholarship. Seven colored tiles were used to decorate the walls of the mosque, and marble was used in the minarets. 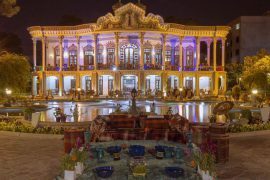 Amjad al- Ashraf mansion is one of the most famous monuments of the Qajar era, with features such as the paved courtyard, swimming pool, bath, and theater. 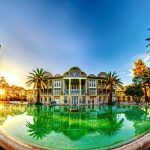 This mansion has unique paintings which were worked by experts from Esfahan. It is located on Salaheddin-Ayoubi Street. 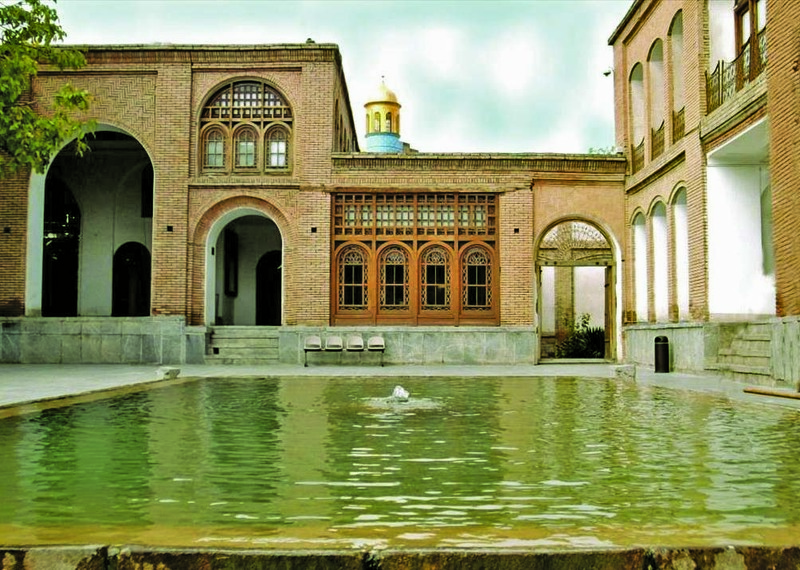 The Moshir Divan mansion has seven courtyards with separate fountains that are connected to other fountains. This mansion has a gorgeous gateway and entrance which is very beautiful and attractive to first-timers. It is located on Shohada Street. 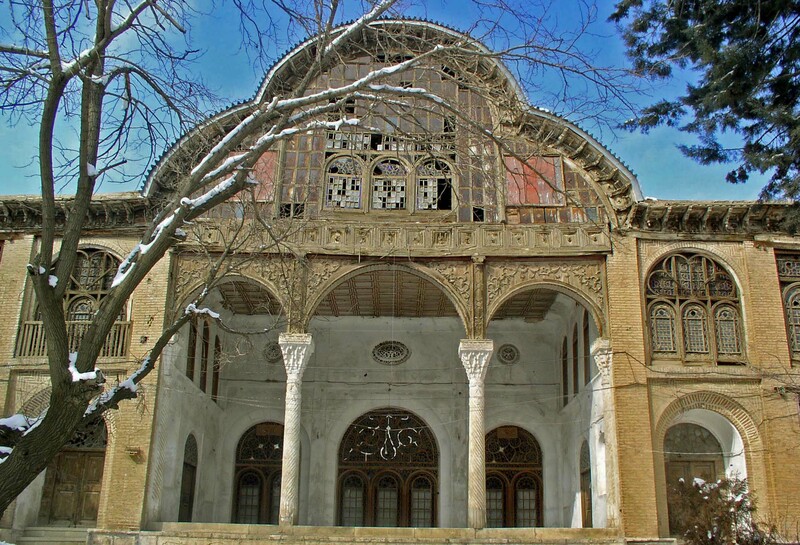 This mansion was built during the reign of Nasser-al-Din Shah and it is considered one of the most magnificent places in Sanandaj due to plaster decoration and its beautiful mirrors. 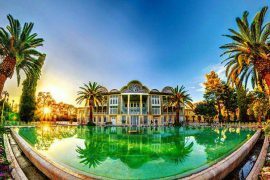 This mansion is located on Imam Khomeini Street. 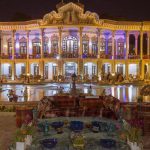 This bath was built in the historical period of the Qajar dynasty, ordered by the governor of Kurdistan. 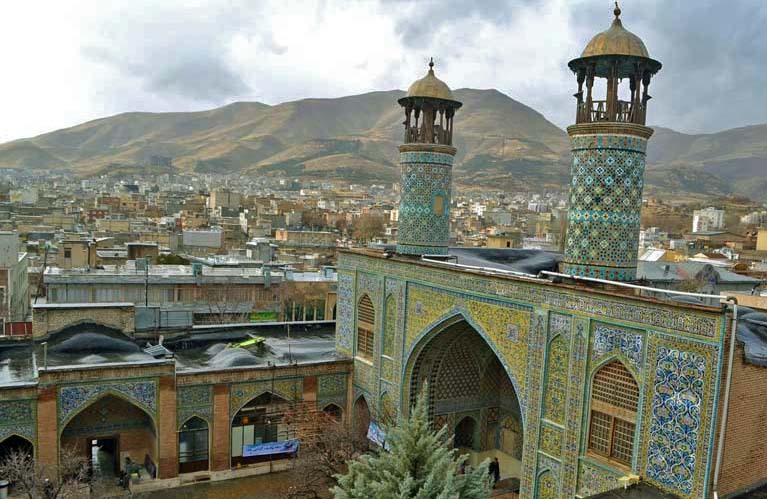 It is located on the northern side of the Sanandaj market and next to the Darougeh Mosque. 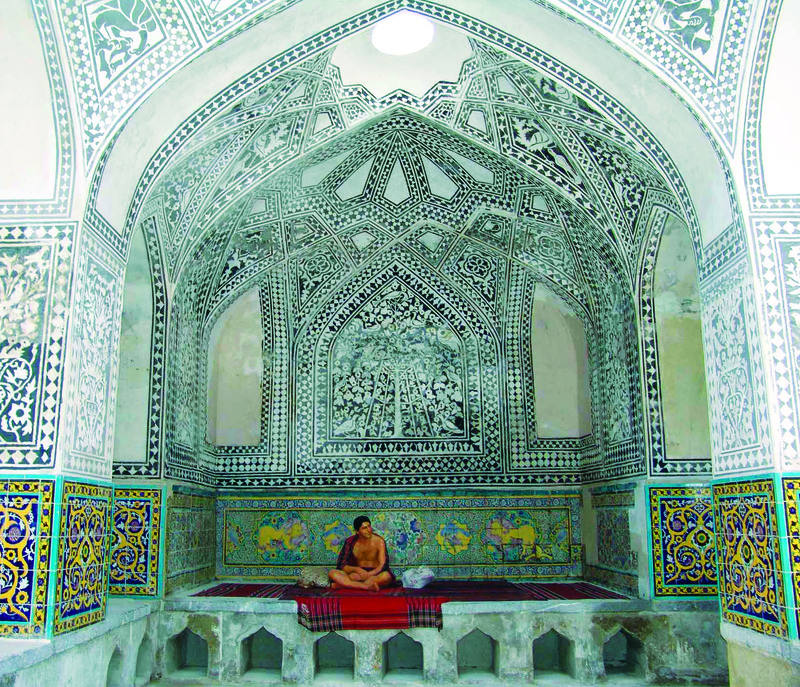 The Khan’s Bath has fine architecture and tiles, along with beautiful alcoves in the corner of the bathroom that attracts the attention of every tourist. Marivan has located 125 km from Sanandaj in the province of Kurdistan. The city leads north to Saghez, east and south-east to Sanandaj, south to Paveh and west to Iraq. 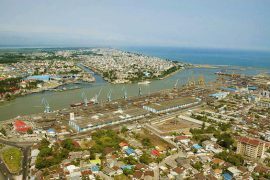 You can see the beauty of the west side of the country if you opt for this city during your visit. 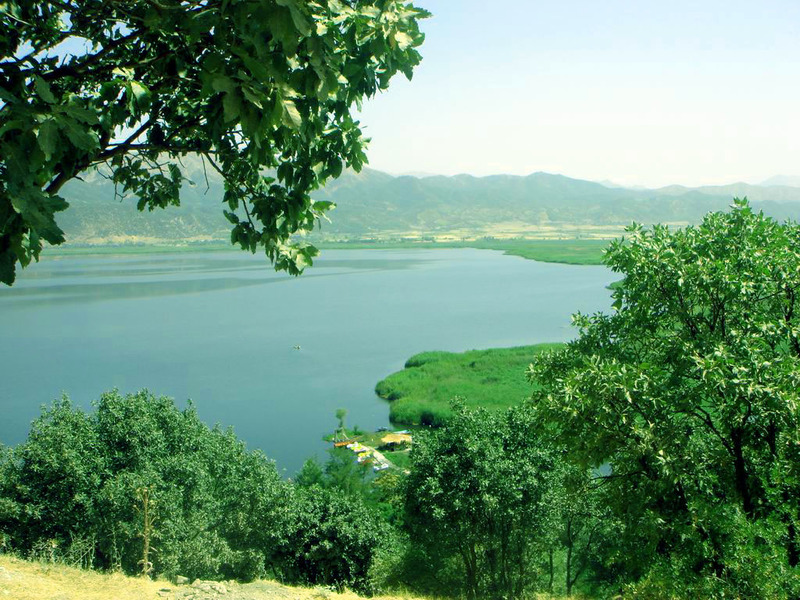 fabulous and beautiful freshwater lake, located 3 km west of the city of Marivan. The Zarivar Lake has no specific source for collecting its water, and for years it has been dug out of rain and springs of water, which is why the people of the lake consider it mysterious. Oraman Village is one of the many beautiful areas of Kurdistan Province , located in eastern Marivan, dating to the Sassanid era. 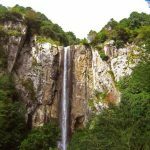 The area has beautiful mountains with forest cover, gorgeous and deep ravines and numerous rivers. The great Sirwan Grain passes through this area and the Uraman valley and joins the Diyala River in Iraq. 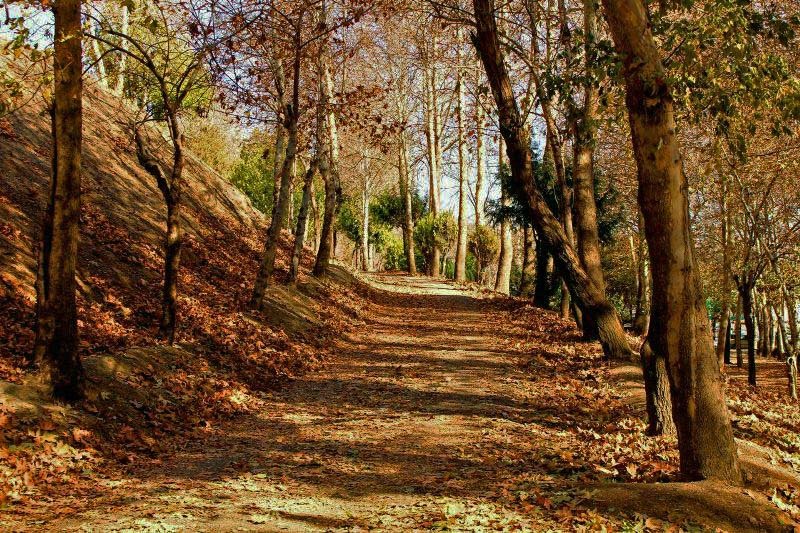 The forest cover of this area, like the general covering of the Zagros Mountains, is mainly from oak trees. The houses of this village are made of stone, and often made in the form of dry China, whose type of architecture is similar to Masuleh village, and therefore they call it a thousand Masulehes. The people of this area are very warm and hospitable, and they speak Harami. 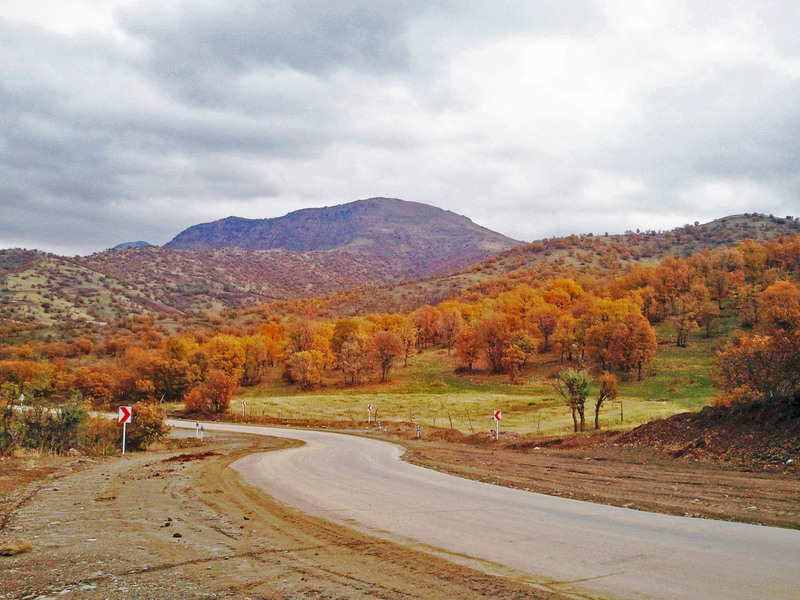 Saghez is located in the north of Kurdistan, exactly 706 kilometers from Tehran. It was the former capital of the Medes and was destroyed by the Assyrians. 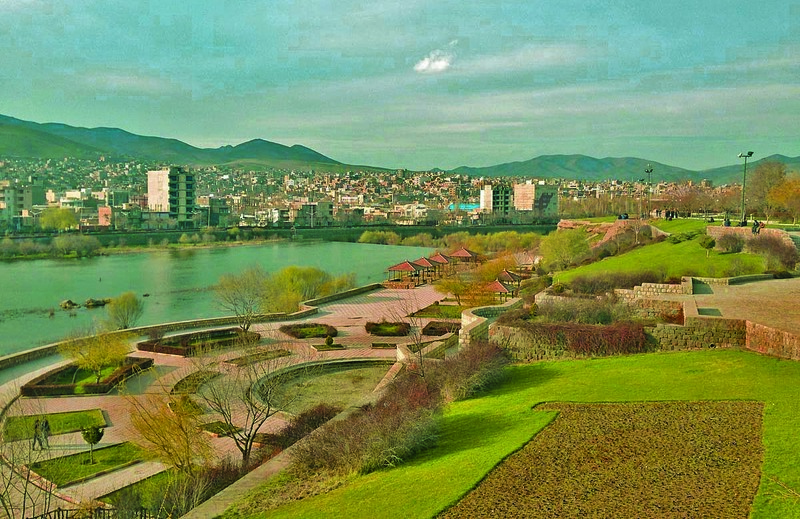 The city has a moderate temperate in the spring and summer. The Hajj Salih bath is located in the historical market of the city of Saghez. 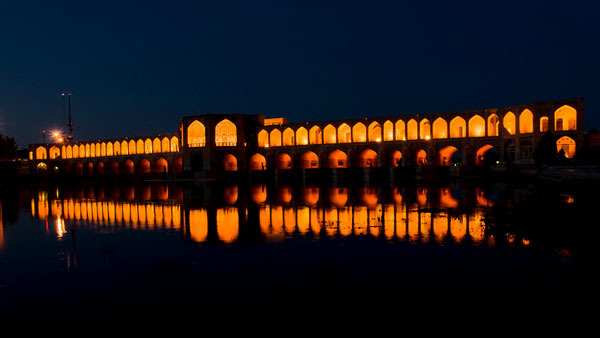 The market itself dates back to the Safavid era. The bath is decorated with framed and cobbled ceilings and walls and engraved columns, and will soon become a museum. Castle, which is adjacent to the village and above the mountain, indicating the importance of the village during the Seljuk period. Still, the remains of its old rooms and bridges have not deteriorated. Although the Palangan is located in a mountainous area, you can go to this beautiful village all year round because of the proper roadworks in place. 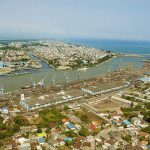 Another attraction of this village is the existence of numerous fishing centers from which you can get fresh fish taken from the riverbank at an affordable price. In the summer and spring seasons, traditional tribal ceremonies will be held. Bijar is located in the east of Kurdistan Province , and after Kurd city, it is the highest Iranian city throughout the region. 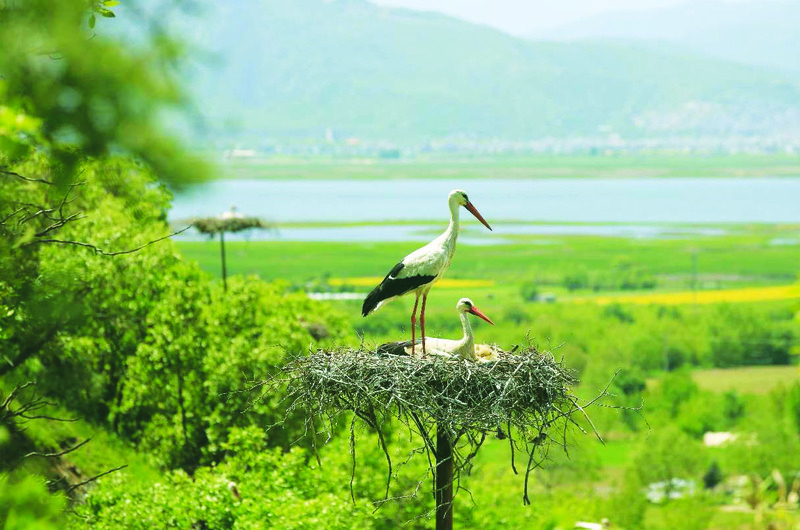 Bijar has cool winters and mild summers. The castle was built in the 8th and 9th centuries BC and dates back to the Sassanid era. It was the home of the Medes and Parthians. Qomchaghay castle is surrounded by deep valleys, dominated on one side by the valley of kings. The remnants of Ghomchqai castle are located 45 km from Bijar, and in it, there is pottery on display from the Islamic period (6th and 7th centuries). In Ghomchay castle, there is an antique inscription with hieroglyphs and hieratic writings, which turns it into one of the oldest semi-imitation sculptures in Iran.